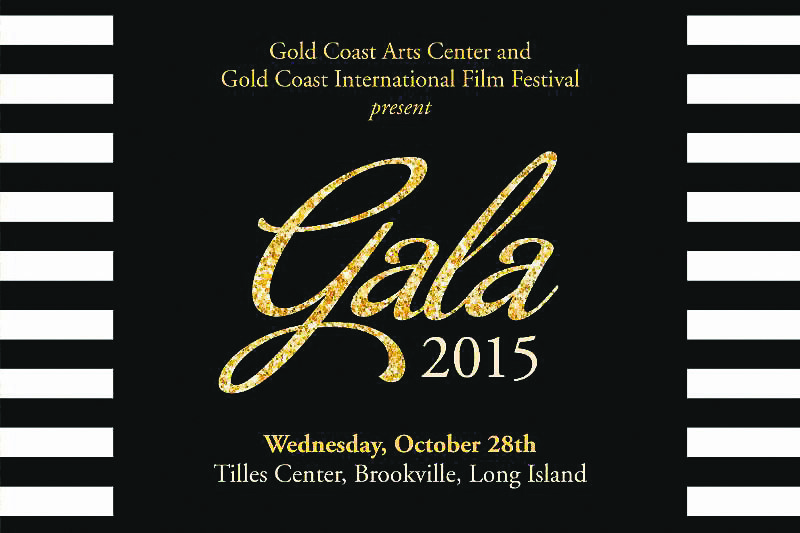 The Gold Coast Arts Center and Gold Coast International Film Festival will be holding their 2015 Benefit Gala at the Tilles Center in Brookville on Wednesday, Oct. 28, from 6 to 11 p.m. They will be recognizing Grammy Winner Vince Giordano as the Artist of Distinction, Music; Actor Navid Negahban as Artist of Distinction, Film; and Director Patricia Riggen as Woman of Influence. Join them for cocktails and dinner, awards, a silent auction and performance, plus lots of razzle-dazzle. The attire will be cocktail party black and white. The Gold Coast Arts Center is an independent nonprofit organization dedicated to promoting and supporting the arts through education, exhibition, performance and outreach.